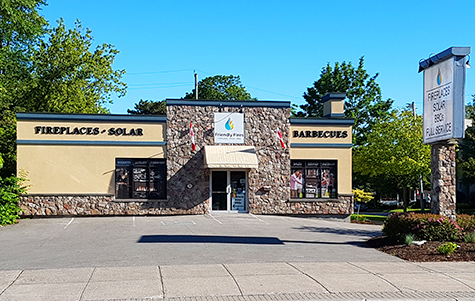 Friendly Fires Cobourg Showroom offers a full line of outdoor products including BBQs, smokers and outdoor fireplaces and rooms. As well as our large collection of Fireplaces, Stoves, Inserts & Heaters not to mention our wide range of replacement parts and accessories. Come on in to our Cobourg Showroom or give us a call, we’d be happy to answer any questions you may have.